On June 16th, 1976, in South Africa, a group of school children in the black township of Soweto decided to hold a protest. Their action would change the course of a nation. Get the full story on the struggle against apartheid here. 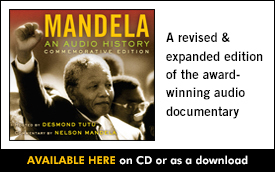 Web Special: Learn more about the stories, the people, and the history of the struggle against apartheid at our Mandela History website.